Hawaiian political scientist Kuhio Vogeler has come to Lithuania to find out how the Baltic states’ example can help his islands gain independence from U.S. ‘occupation’, as he calls it. The 43-year-old wants to prove the fact of Hawaii occupation in his doctoral thesis and compare their history with that of the Baltic states. 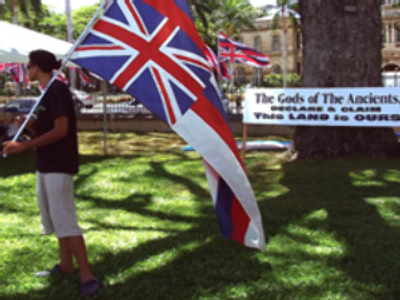 Vogeler thinks that joining the U.S. had negative consequences for his land: within a hundred years the number of ethnic Hawaiians in the country decreased from 85% to 19,2%; American culture began to dominate, as well as the English language – 3 out of 4 Hawaiians speak English at home, only 3,000 of the country’s citizens call Hawaiian their native language. Vogeler himself learnt it only when at University.